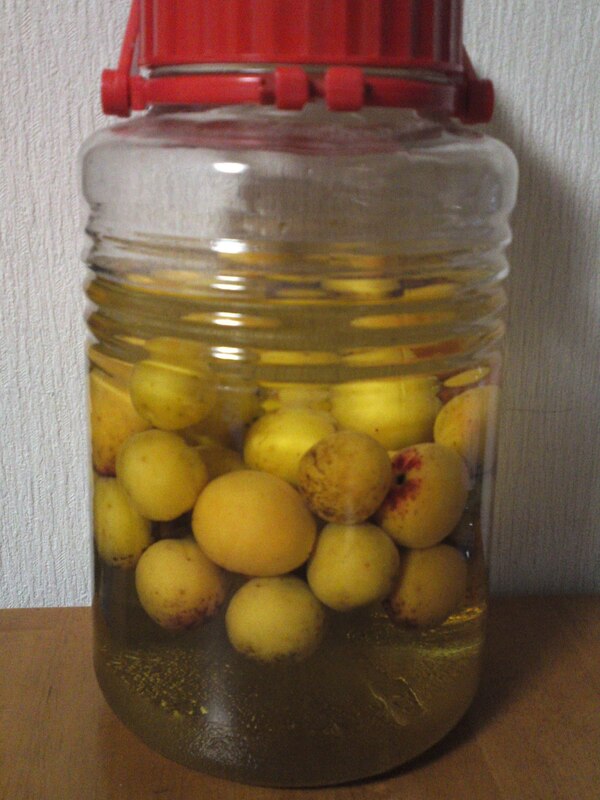 Umeshu: Umeshu with Organic Plums Harvested in Shizuoka City! The other day I received a phone call a phone call from my good friend, Ms. Asami Itoh who just succeeded in her father’s steps as the new president and owner of Marufuku Tea Factory in Shizuoka City. She is a very busy lady as she is also active in producing tea bags at her other venture, CHA-O Company. She was inviting me to join her and her sister, Aya, in the harvesting of organic Japanese plums growing on trees inside a property that her family owns up in the mountains in Umegashima! 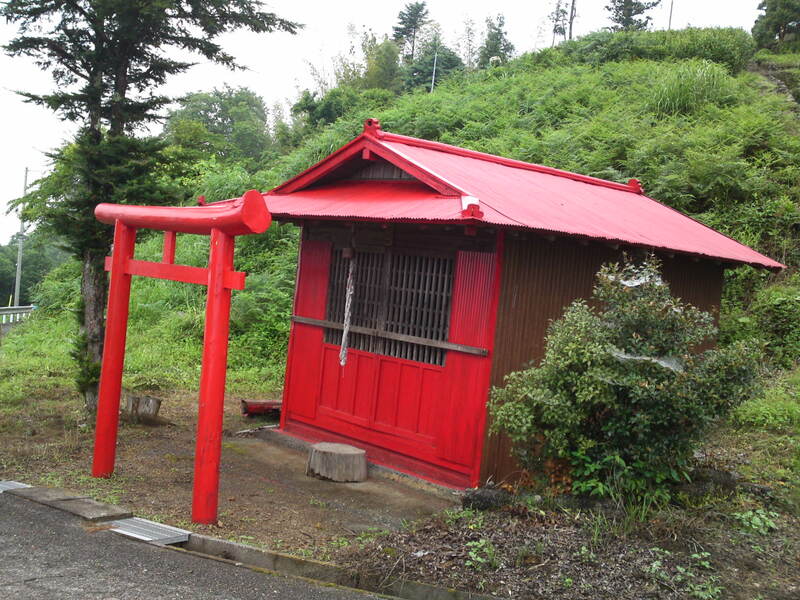 Although Umegashima is located inside Shizuoka City, it took us more than an hour of driving up the mountains away from civilization up to a point located at 1000 meters altitude where the road ended in front of a small Shinto Shrine! 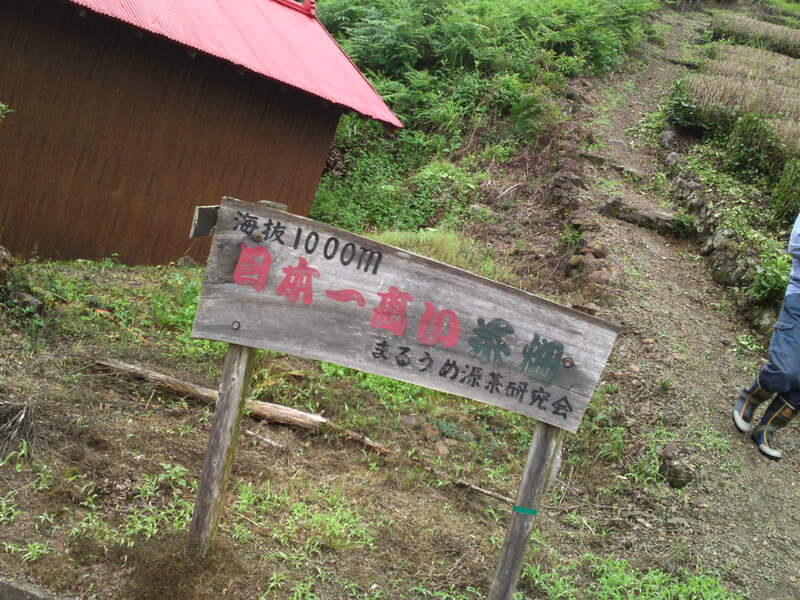 At that very spot you will discover the highest altitude green tea fields in Japan! 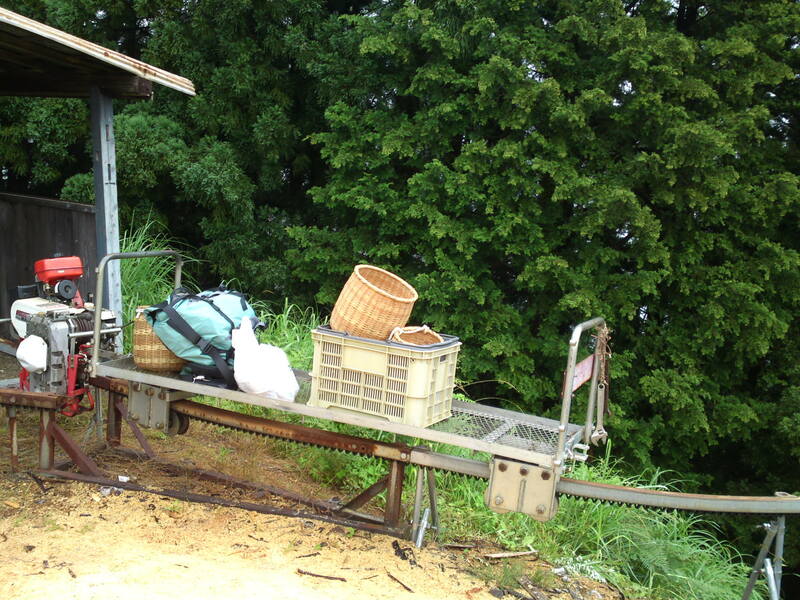 From there we had to walk down a precipitous lane for about 15 minutes while Asami was carrying down the necessary equipment on a rail cart that most farmers use in Shizuoka Prefecture where a lot of agriculture is conducted on the sheer slopes across the Japanese Southern Alps. 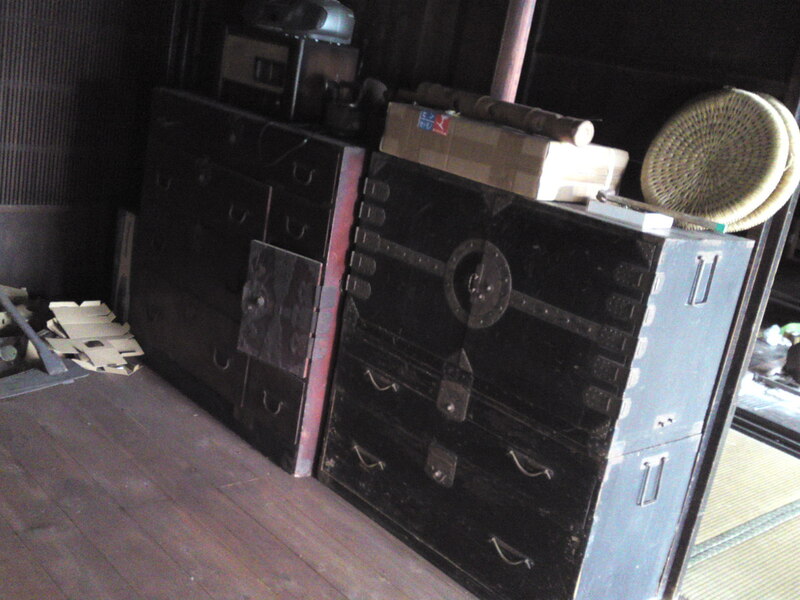 We soon reached a Japanese traditional farm house that Asami’s father had completely refurbished. 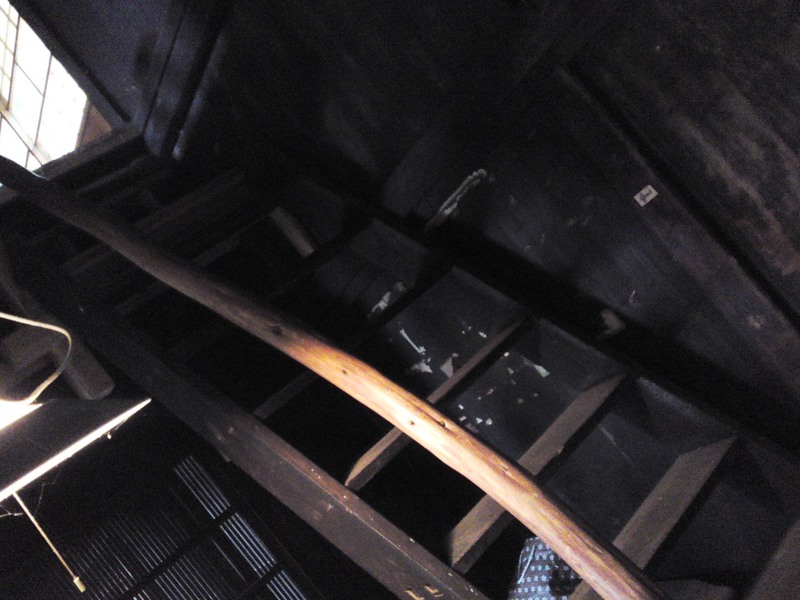 I just can’t imagine how they brought up all this wood, pillars, rafters, beams and whatever else in that spot completely isolated from car roads! 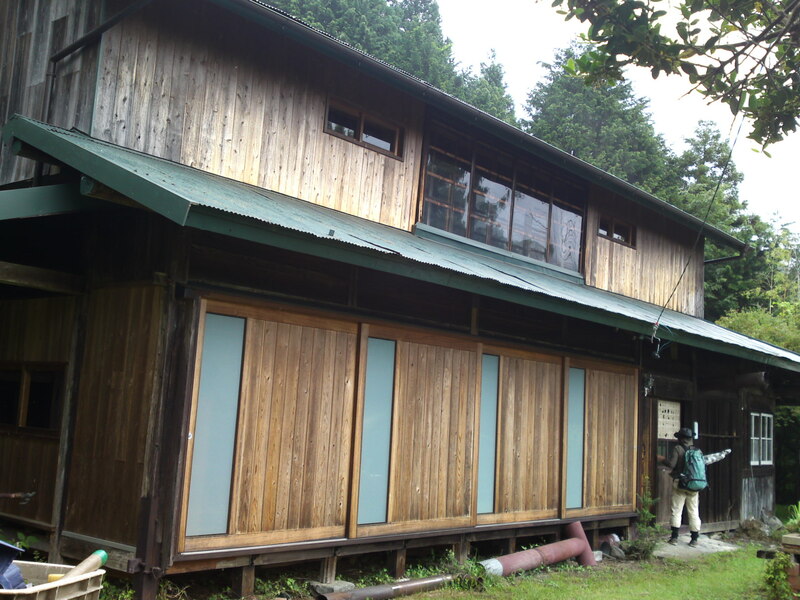 But the house itself is already worth the expedition. I can imagine many of my artist and writer friends falling in love with this abode away from everything where mobile phones don’t work, although the place is equipped with electricity, gas, toilets and bathroom! Safety lamps in case of a blackout! 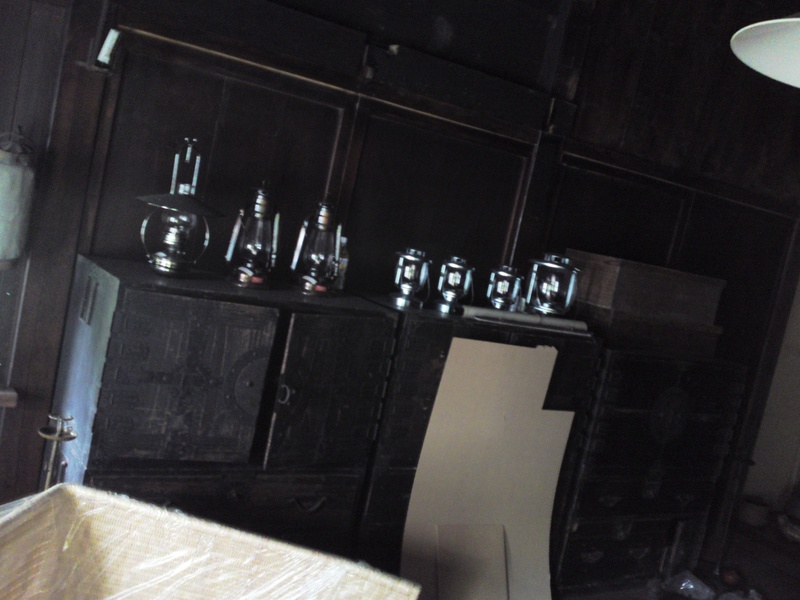 The place contains a mountain of antiques gathered over the year by Asami’s father and I can guarantee you that the place is safely locked away. What with intruders regularly stealing valuable mountain vegetables growing on the property! 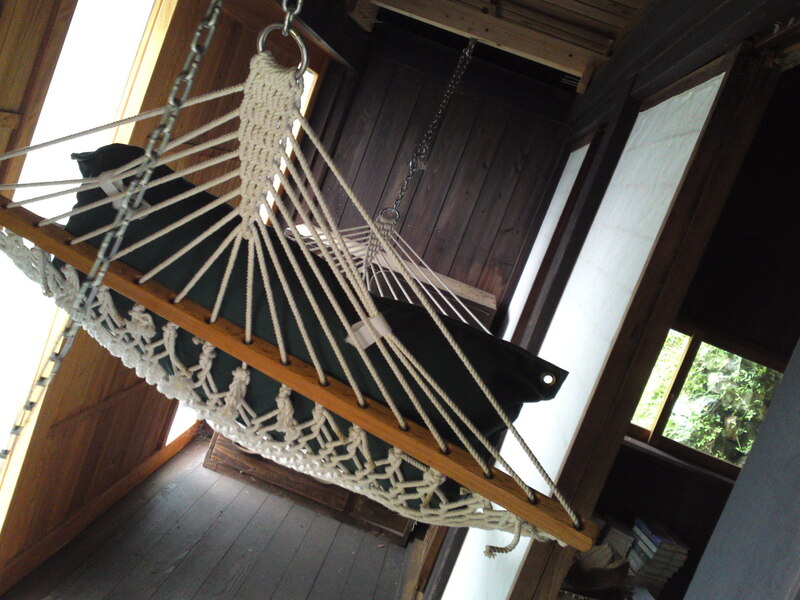 There is plenty of room for sleeping but this hammock just feels great in the heat of summer! Incidentally it snows up there in winter! 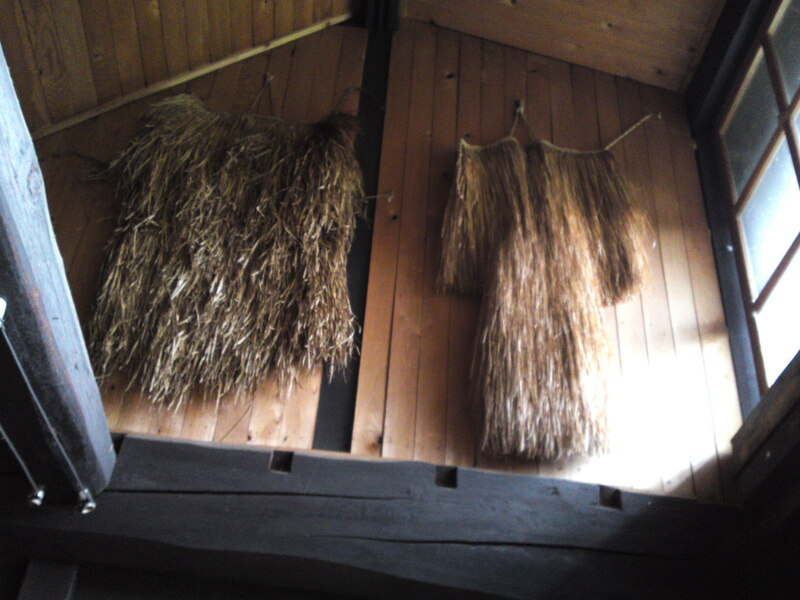 Antique rice straw rain gear! 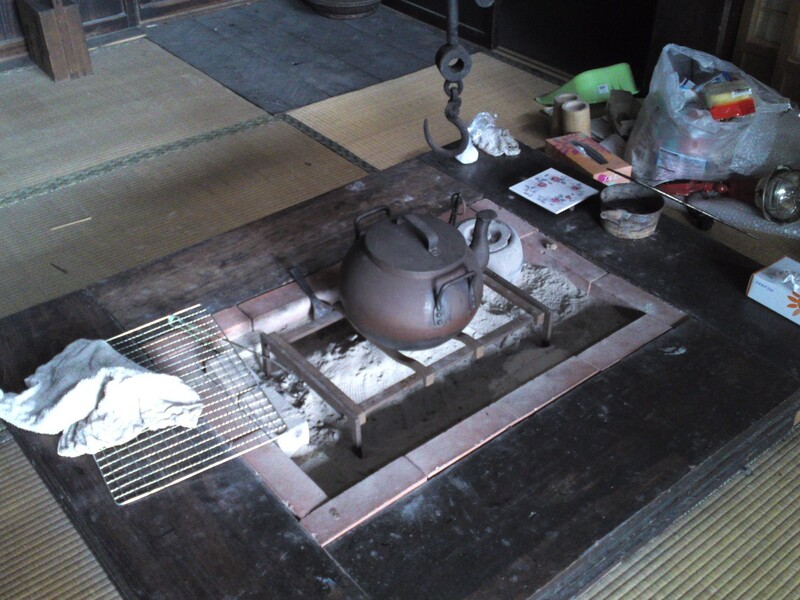 A real Japanese antique irori/囲炉裏sunken hearth! 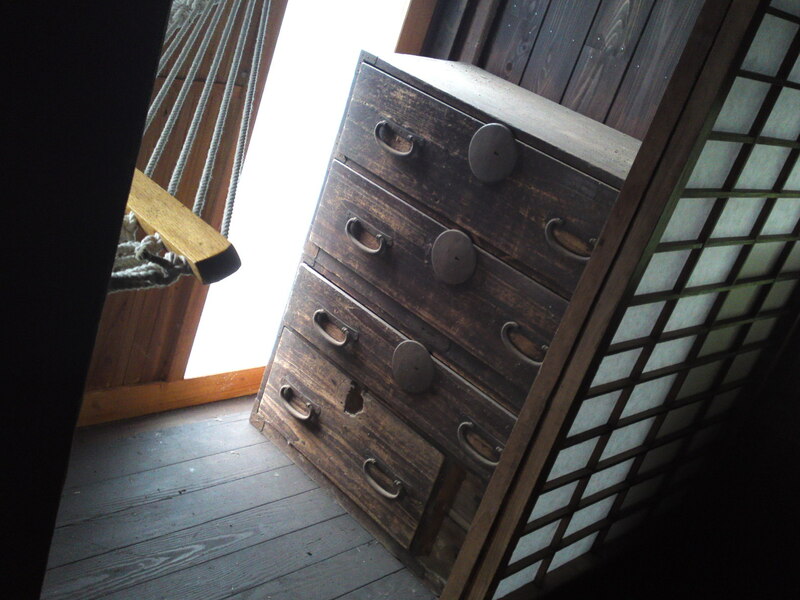 Even the stairway and hand rail are antiques! 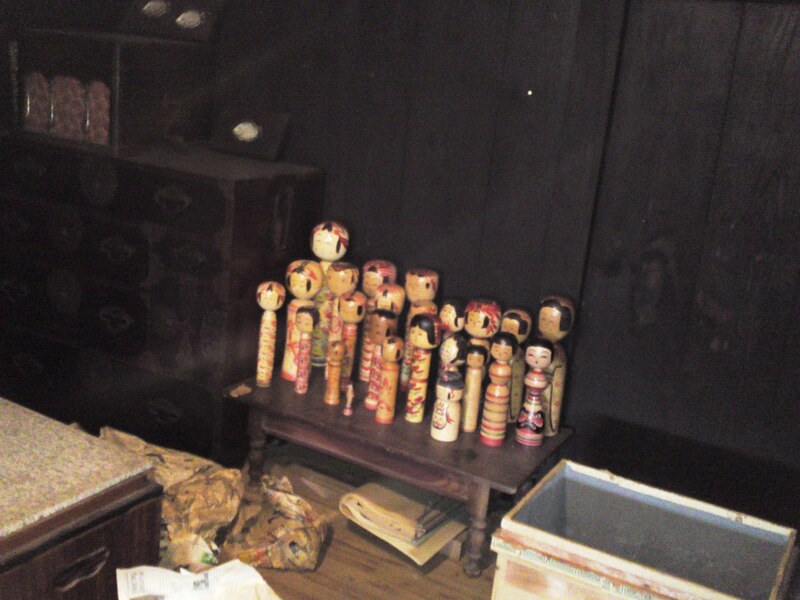 An array of authentic antique kokeshi dolls/コケシ all signed up by artists! 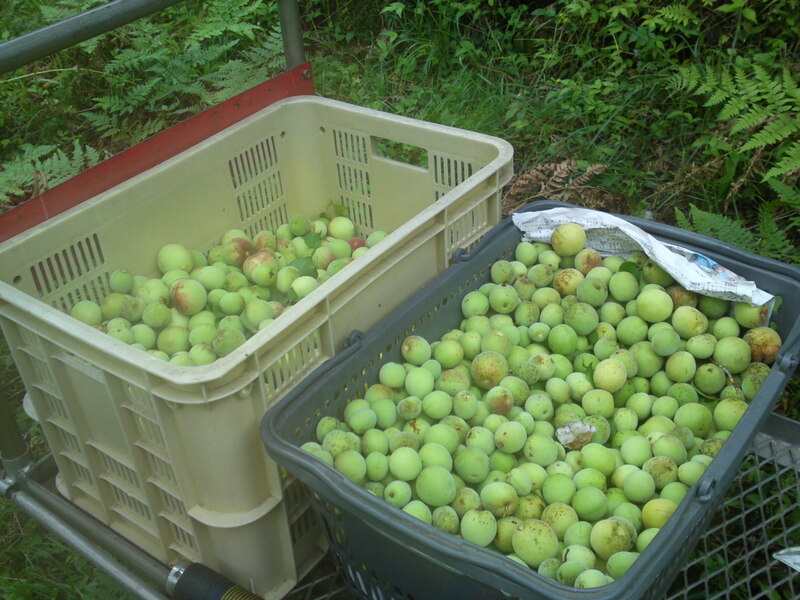 The three of us spent a good 4 hours harvesting Japanese plums overhead as the lower branches ahd been eaten out by wild deer! I made a mistake not to wear boots in the muddy ground and I was beaten by a leech! Yes, a leech at 1000 meters altitude! 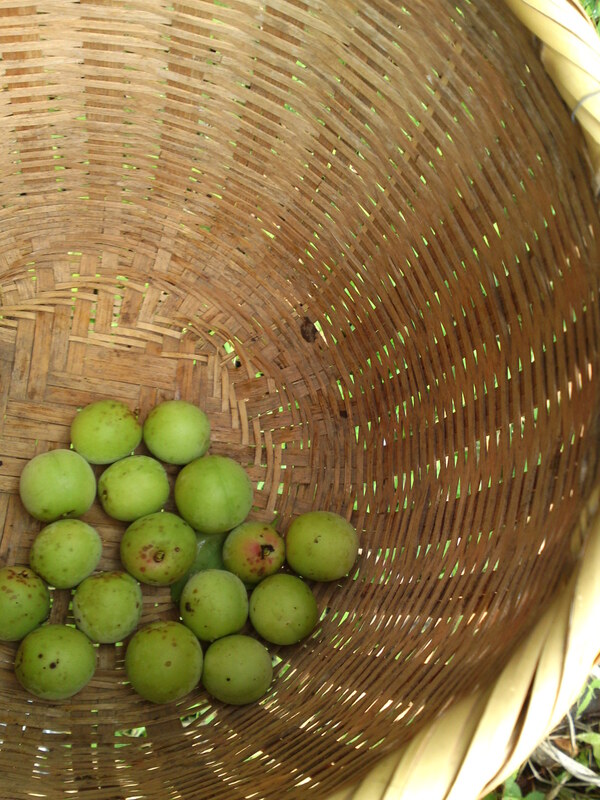 We first dropped the plums into individual wicker baskets secured around the waist. 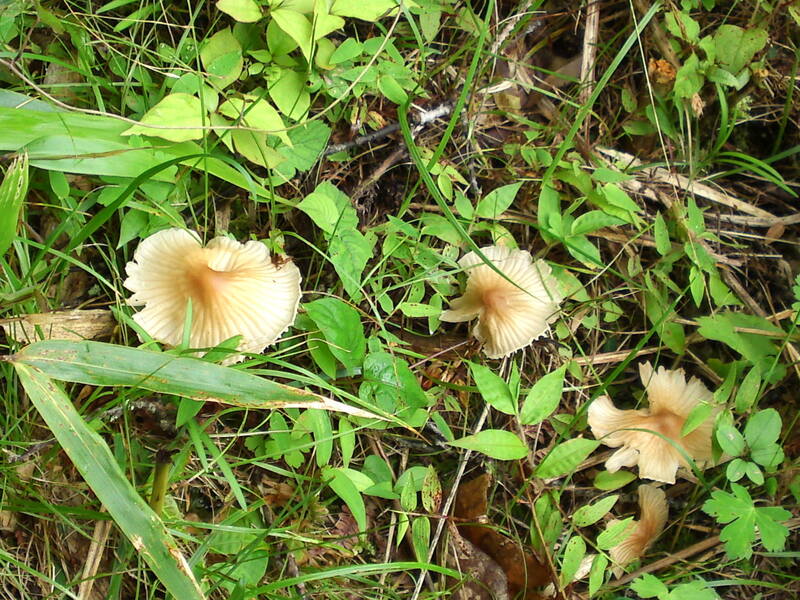 There were (unfortunately inedible) mushrooms everywhere! 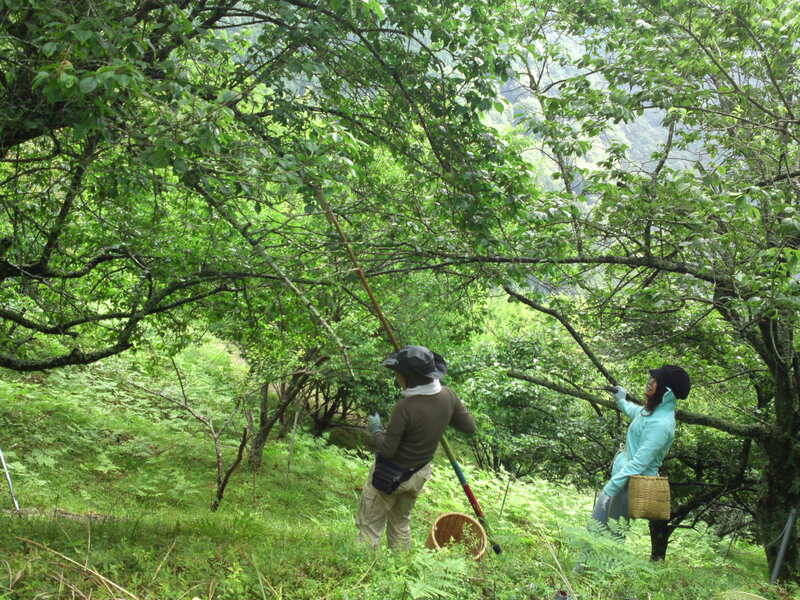 Japanese plums are best harvested just before they start changing color! 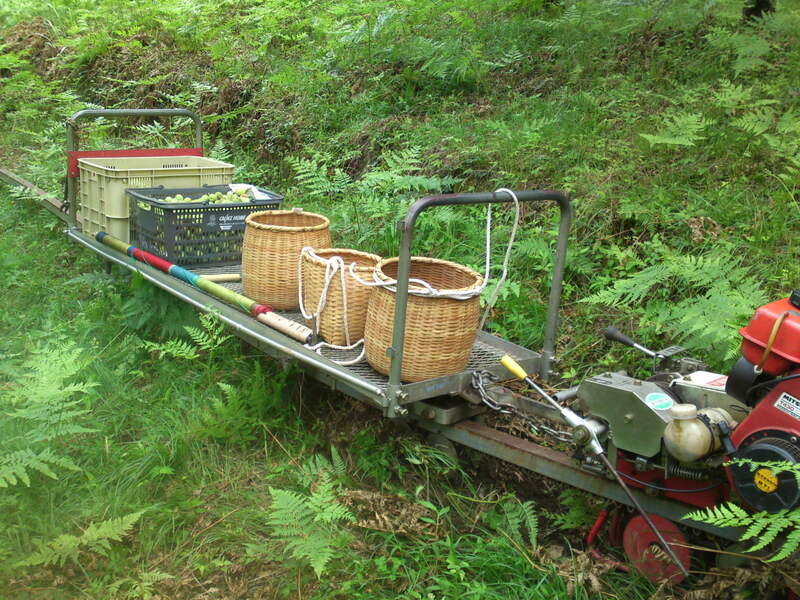 Naturally the crop was carried up to the small car park via the rail tractor! Apparently this year’s crop was not very good but we must have collected 50 kg of them! Although I was asked to take more with me I was allowed to choose enough of the bigger ones to bring back home to make umeshu. 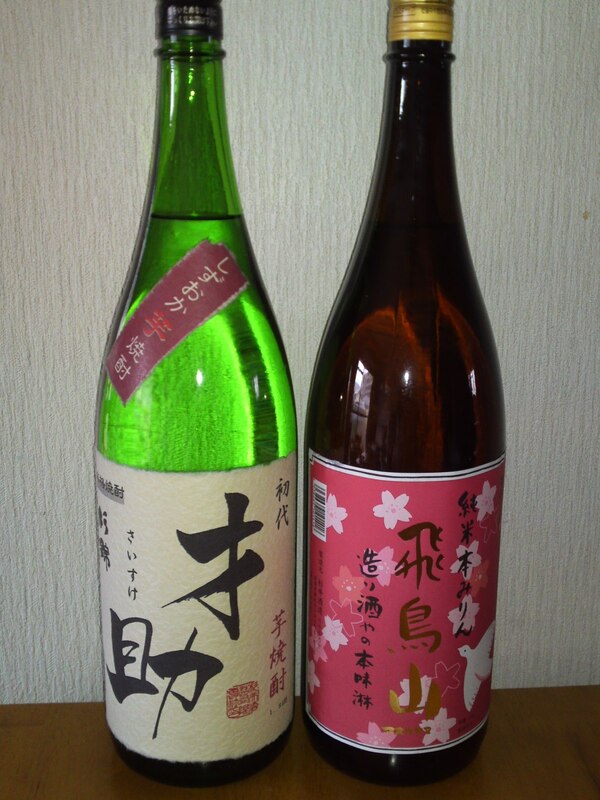 Usually people use cheap white liqueur and koorizato/crystal sugar, last year I made them with local shochu, sake and koorizato, but this time I used only sweet potato shochu and a bottle of the only mirin/sweet sake made in Shizuoka Prefecture by Sugii Brewery in Fujieda City! 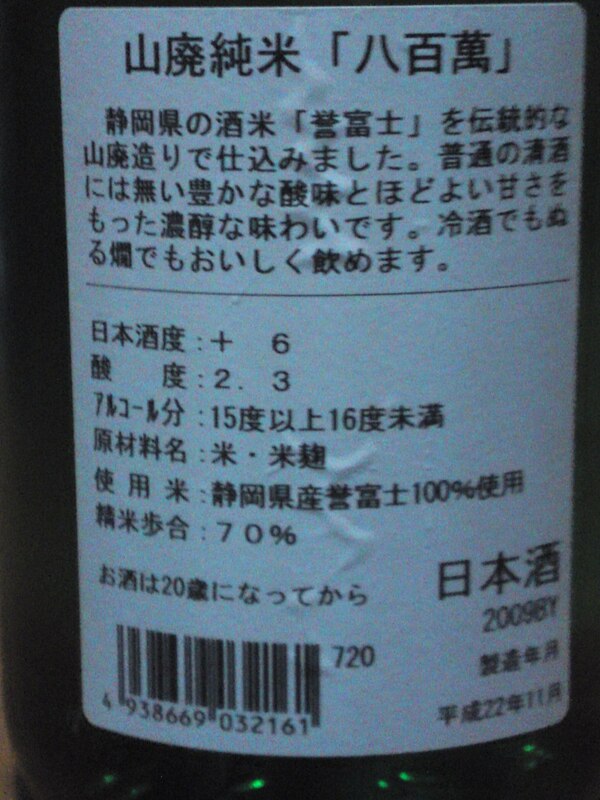 You will not find such an extravagant umeshu in any shop! I still had enough left for Dragon (my worse half!) 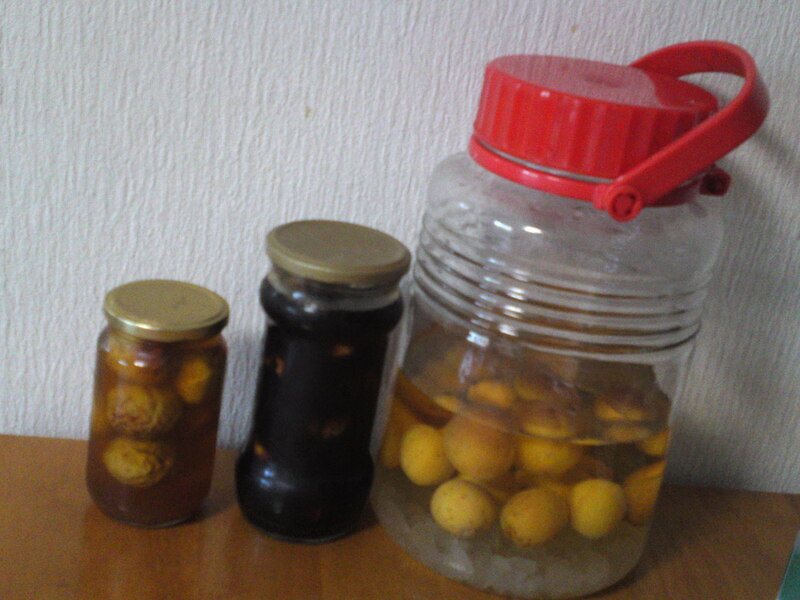 to make (from left to right): plums in fruit vinegar and honey, plum soy sauce and white wine umeshu! 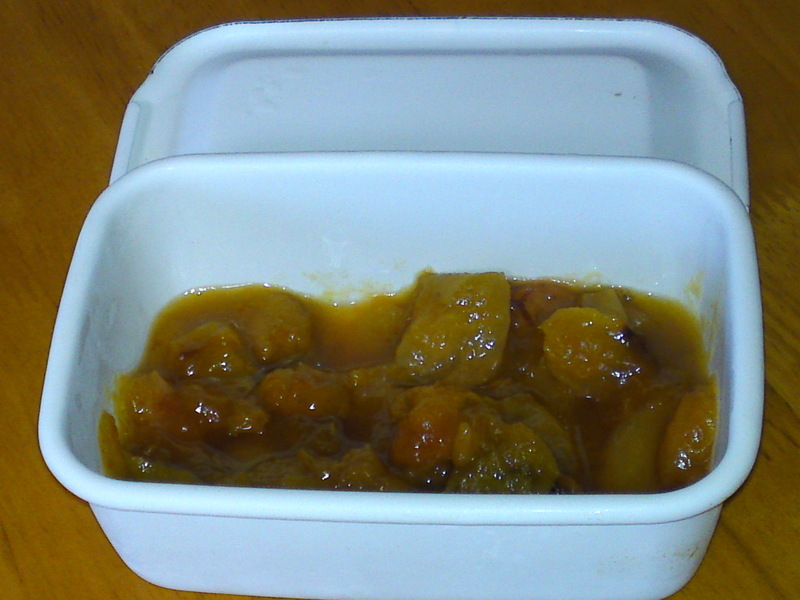 She even made plum chutney! 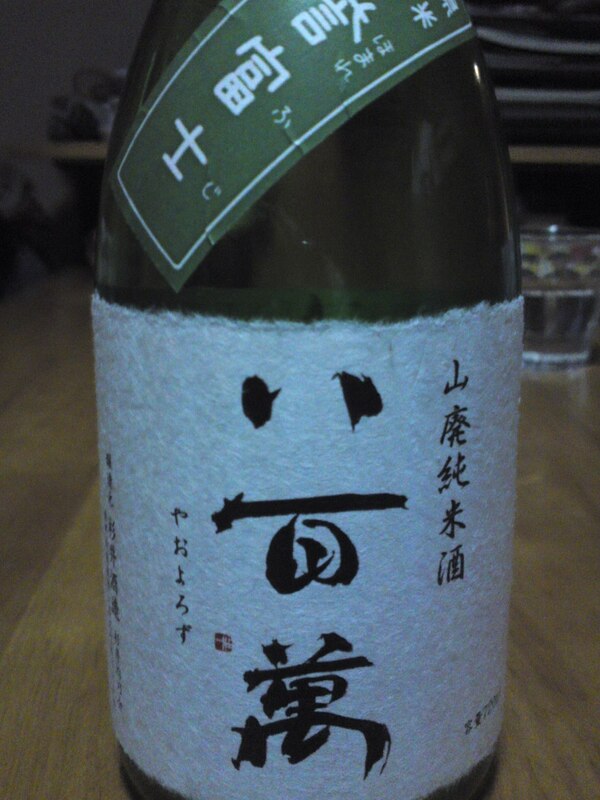 Looking forward to tasting this great umeshu in winter. 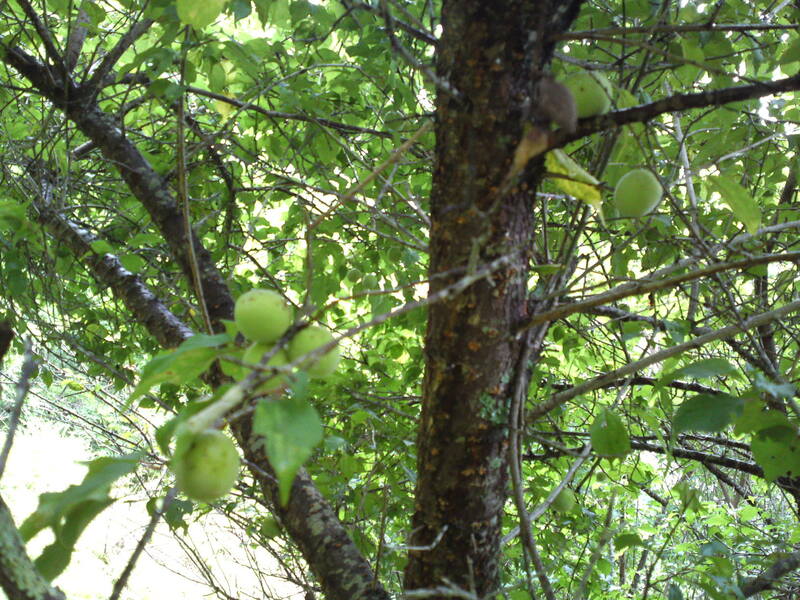 And of course it will be a rare treat to eat or use the plums in recipes! 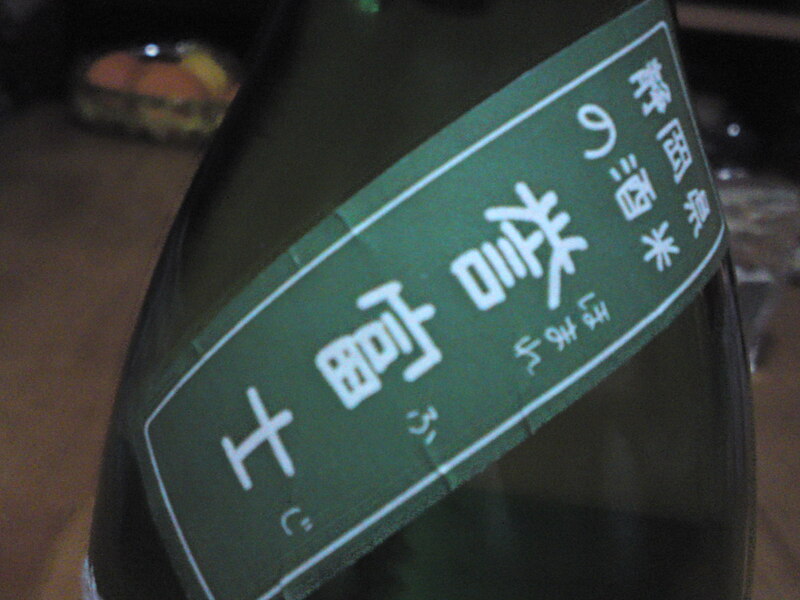 As a general rule I keep Shochu tasting postings to my other blog, Shizuoka Shochu, but for once I thought these tasting notes could help non-Japanese shochu lovers how to report on their favourite drink.